Micah B. Rogalski is an associate at BSP that focuses his work on automotive product liability, including electronic discovery and technical corporate representative depositions. Micah assists with research, drafting legal documents, and all other aspects of assisting with cases. 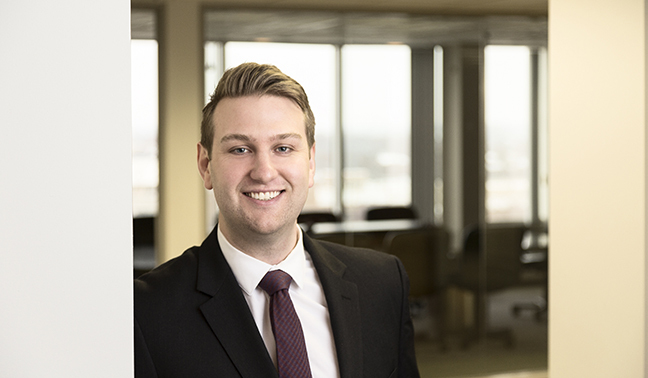 Prior to joining the BSP team, Micah gained experience working as a law clerk in the Commercial Litigation Practice Group at Dawda, Mann, Mulcahy & Sadler. He also served as a legal extern for the Office of the General Counsel for DTE Energy in the Commercial Practice Group. In addition, he served as a law clerk and research assistant for two other firms in metro-Detroit and Grand Rapids. Before commencement of his legal career, Micah worked in business-to-business customer service for Paychex, Inc.
Micah is a graduate of the State University of New York Geneseo, where he received his Bachelor of Science in Business Administration. He went on to Wayne State University Law School to receive his J.D in May of 2018. While at Wayne State University Law School, Micah co-founded and served as Senior Article Editor of the Wayne State Journal of Business Law. He was also awarded Bronze Key for academic achievement.